War horses were important to ensure the safety of the realm. 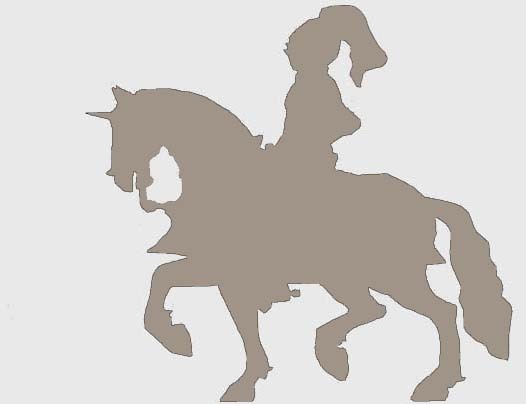 Henry VIII was keen on improving both type and size of British horses. In 1531, his government forbade the export of horses. This ban was extended to the sale of horses to Scotland in 1532. Laws passed in 1535-6 and 1541-2 required that all mares should reach 13 hands high and stallions fourteen hands. In 1540, horses less than 15 hands high were forbidden from grazing on common grounds. The original law also stated that smaller horses should be killed or removed to enclosed land where they would not breed with larger horses. However, it is doubtful that any horses were ever killed because the legislators quickly modified the law so that it no longer said the horses had to be slaughtered. It was deemed sufficient that the smaller horses be kept from breeding. The object of this breeding program was to have horses large enough to serve an army in times of war. It is important to remember that an army needed many types of horses – war horses to carry fighting men, cart horses for transport, and fast moving horses for light cavalry and for messengers. In addition to the demand for bigger stronger horses, the king was concerned with numbers. Laws in 1541-2 required that nobles, gentry, and churchmen keep certain numbers of horses. Those in the highest positions had to house seven strong trotting horses who were at least three years old and fourteen hands high. The less wealthy had to have at least one acceptable horse. For many years, monks were known for their husbandry and for the selective breeding of horses. When King Henry VIII dissolved the monasteries in the 1530s, he gave many of the former church-owned lands to pensioners who were ordered to continue raising horses there. Wars with both France and Spain in the 1540s demanded a great many horses. After King Henry VIII’s death in 1547, young King Edward VI ordered a full count of horses in the realm. This was repeated in 1565, when Queen Elizabeth I was on the throne. Elizabeth ordered that a muster of horses would be taken every six months “until the realm be replenished with horses.” In 1580, the queen became so concerned about the need for more horses that she established a Special Commission for the Increase and Breed of Horses. This commission was charged to inspect and rate each the stallion and mare throughout England. All this attention to horses provides us with some Tudor period books on horses and how best to care for them. 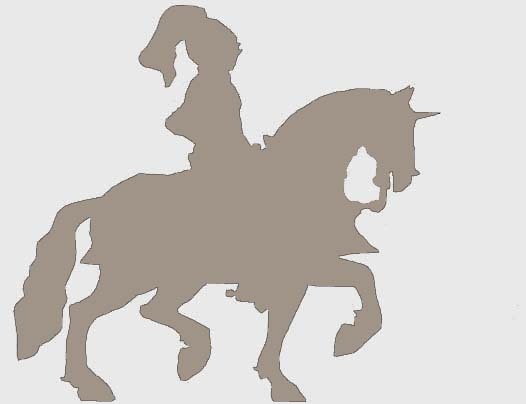 Nicholas Arnold, Thomas Blundeville, John Astley, and Gervase Markham are four authors whose works still provide insights into the Tudor horse. 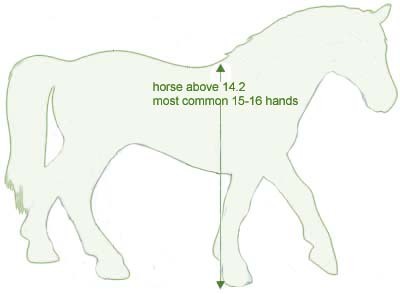 Horses and ponies are measured for height at the withers. A hand equal 4 inches. 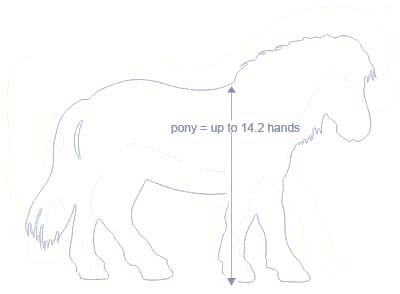 A 15 hand horse would stand 5 feet when measured at the withers. Obviously, the neck and head will extend higher.